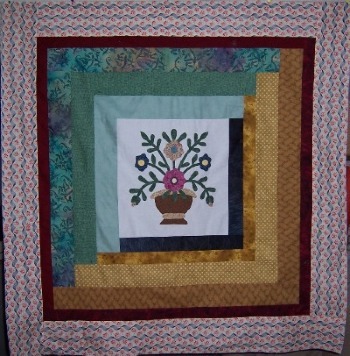 That is the home page of the group with which I am working to create quilts for wounded American soldiers. Unfortunately, not all of the soldiers survive their injuries. Many are young fathers. 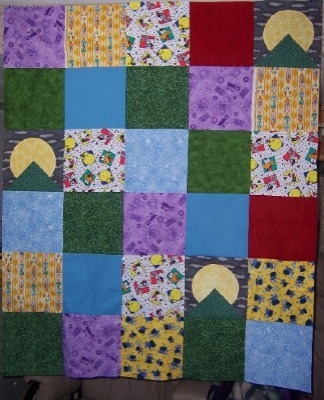 I have begun making a few quilts for the children of those soldiers. I can never make enough. 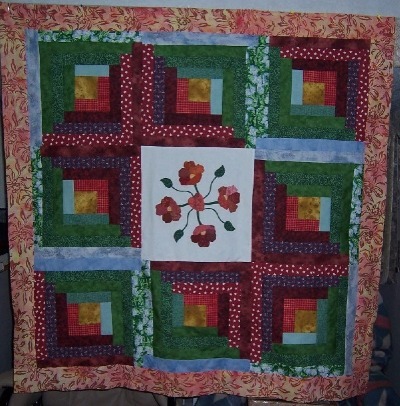 If you'd like to help with blocks, tops, fabric, or complete quilts, you can contact me through this link. 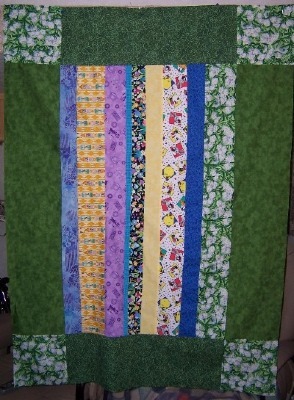 Squares of the same leftovers, plus 3 Moon Over the Mountain blocks and some Loony Tunes fabric from Gabriele in AZ. 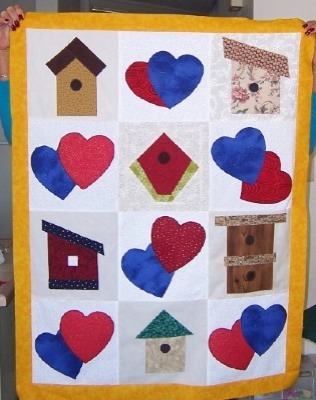 The heart blocks were donated by Fran in CA. 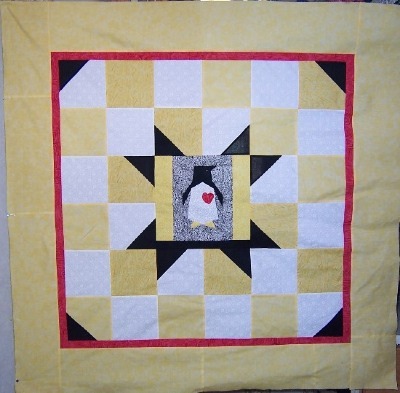 The penguin was donated by Gabriele in AZ, and I completed the top with the checkboard design. Yellow fabric donated by Robin in ID. 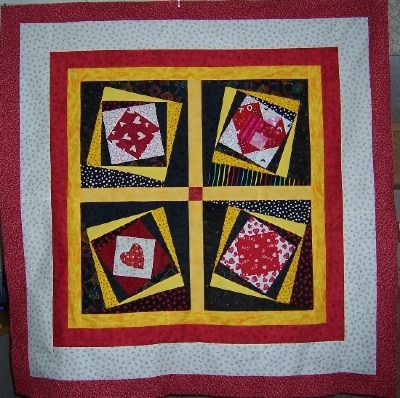 Center block donated by Gabriele in AZ. 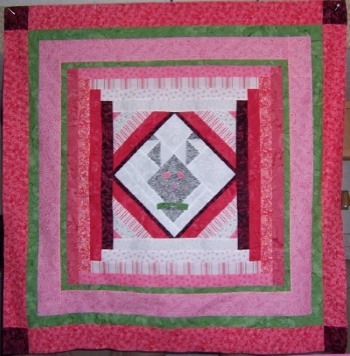 Other fabrics are left over Quilt Pinks. Hand-appliqued center donated by Weze in AL. Hand appliqued center donated by Weze in AL.